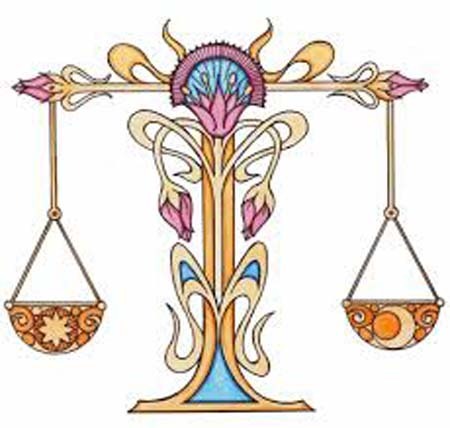 Convivial Venus moves into Libra from today for just over four weeks, bringing greater tact and diplomacy into key interactions. As Venus the planet of relating moves into Libra and your relationship zone, the coming weeks can be a chance to smooth over any difficulties and forge stronger bonds. But there is also another very upbeat aspect involving the Sun and exuberant Jupiter, that may give you the confidence to try something new. If handled thoughtfully, this could lead to a super opportunity. Although there is still a lot of activity in your domestic sector, the focus shifts from today into your lifestyle zone as Venus your ruler, moves into Libra. This can give you the willingness to harmonise and balance routines and to streamline your life in general. However, discipline could be an issue and you may need to dedicate yourself to stick with a new habit or plan. A desire to kick back and get more enjoyment out of life can take hold as the focus shifts to your leisure sector. This can see you indulging in creative pastimes, going on outings with family and friends and making time for yourself. On another note though, a Jupiter influence suggests you may promise more than you can deliver, and yet it could be a mistake to be overly optimistic. An angle between the Sun and the go-getting vibe of Jupiter, could see you giving freely of your time and resources. You may think nothing of taking the family out for a meal or doing something special for a significant other. However, there can be such a thing as going too far, and this may be a possibility. Before you offer to pick up the bill or give generously, be sure you can afford it. If there is a hint of tension in the air, then it may be down to the developing Solar Eclipse which takes place in your sign later in the week. This can be a precursor to making key changes and might be something that you have been mulling over for some time. With lively Mercury rewinding in your sign, the coming days can encourage further thought on this very subject. While confidence can be a good thing, over-confidence can be less so. And there can be a fine line between the two. With a very positive and optimistic aspect in place, it can seem easy work to accomplish a plan or perhaps persuade someone of something. Bear in mind though, that it is all very well promising, but you will need to come up with goods to avoid embarrassment. As luscious Venus moves into your sign from today, she is truly in her element and this can translate into feeling so much more positive and at ease within yourself. As Venus is the planet of relating though, you may feel a renewed urge to connect with others for social reasons, or perhaps because you require help with a plan or project. In both cases, this can work out well. With the Sun in a prominent sector linking to expansive Jupiter, your confidence regarding an idea or plan can be very high. From this perspective, it might seem impossible that you could fail or that someone might turn down a request. However, it helps to be prepared for all eventualities, as your horoscope reveals thats a disappointment or closed door might mean something even better could be on the way. You may feel a great deal of excitement regarding a travel plan or an opportunity that bodes well for the future. And with an upbeat aspect involving Jupiter your ruler in full force, your enthusiasm can be at a high. Even so, with communicator Mercury and feisty Mars in reverse, it may be wise to have a plan B or to be flexible enough to handle any delays should they arise. As diplomatic Venus moves into your sector of goals and ambition from today, her presence can inspire you to be charming and tactful in your dealings. And rather than doing things solo, it can be more sociable and productive to invite others on board with your plans, or to liaise with those who share your interests. A little give and take can inspire trust and be good for progress too. Travel adventures and a chance to explore new terrain may move higher up your agenda as lovely Venus moves into your sector of far horizons. However, this influence can be more about the people you meet and the encounters you enjoy while taking in new experiences. Indeed, as Venus aligns with retro Mars, a meeting could prove very inspiring and uplifting Aquarius. As Jupiter forges a caring and compassionate alignment with Neptune in your sign, you may feel moved to help a friend who has too much to do. Be mindful of your own schedule too though. While a dynamic aspect could leave you confident that you can handle almost anything, you could find that you are hard pressed to keep on top of your own schedule and key tasks.